See scan - very good condition. 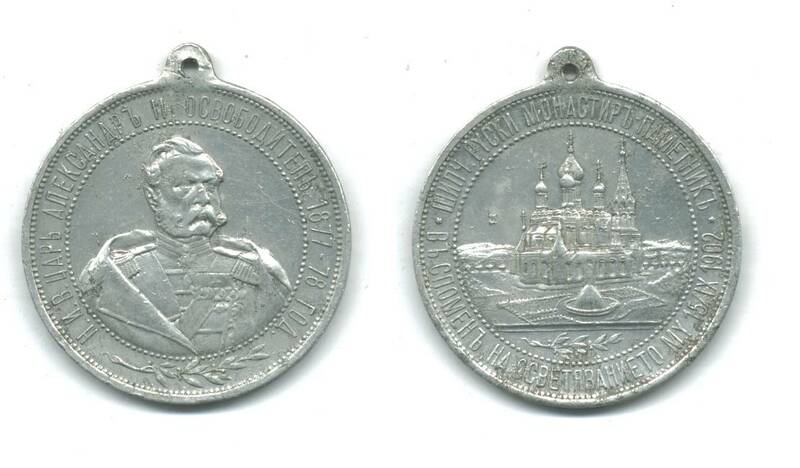 Front is the picture of the Russian Royal Emperor Alexander II and back is the place in Bulgaria, where a special military ceremony was held to commemorate the freedom of Bulgaria from the Ottoman Turkish Empire during the Russia Turkey war of 1878. Extremely rare and scarce piece.